Gold gets most of the attention when people talk about investing in precious metals. It’s no wonder; not that long ago, gold backed currencies and it was the wealth on which civilization was based. 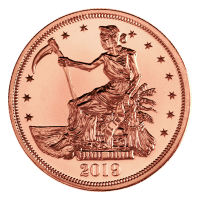 Gold is still considered one of the most stable ways to store your wealth, but if you’re looking for a growth opportunity in precious metals, it’s time to start looking at silver. With silver bouncing around between $15 and $19 per ounce for the last year, its growth potential is far greater than gold’s. An optimistic outlook predicts $2000 gold, but $60 silver, which would see your investment triple or quadruple. Why is the growth potential for silver so high? Silver is largely mined as a by-product of other metals, including copper, gold, and lead or zinc. Primary silver producers only account for about 30 percent of the annual mine supply, it comes from mining these other metals. As mining companies move toward cost-saving measures over precious metal acquisitions, silver production is drawing the short straw. That’s bad news for industry, which largely doesn’t have any alternative to silver, but great news for investors who are bullish on silver. To make up for the silver supply deficit, governments have been selling silver stockpiles to industry to make up the difference. Government sales of silver stockpiles have largely come from Russia, China, and India and they were substantial from 1999-2013. Since then, however, those governments have flatlined silver sales, and with supply outlook limited, now is a great time to have a bullish outlook on silver. There is no substitute for the real thing. 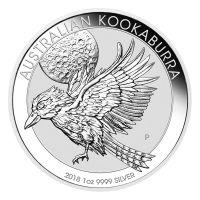 Investors buy silver bullion from Silver Gold Bull for a number of reasons, including mitigating third-party risk and because there are reasons to doubt paper silver. 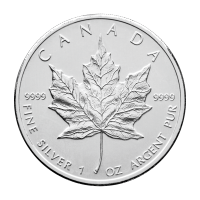 By some estimates, the paper to silver bullion ratio is as high as 233:1, which means that for every 1 ounce of silver bullion, there are 233 on paper. If even a fraction of paper silver holders wanted to redeem, there’d be an instant run on silver, and most wouldn’t get the real precious metals their paper represented. 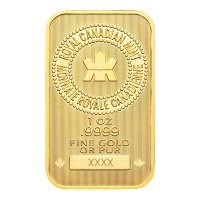 There are a number of brick-and-mortar gold and silver bullion stores where you can buy physical silver and gold, such as these silver shops in Ottawa (one of many lists we have for shops across Can ada). But buying silver online is one of the most convenient ways to do it. With a very competitive inventory and deep liquidation, few brick-and-mortar shops can compete with Silver Gold Bull. 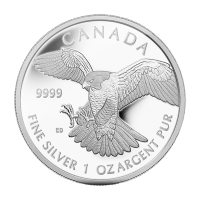 As an online silver bullion dealer, we can also offer lower premiums on silver and gold, as well as discounts for paying by money order, online Interac, e-transfer, or with Bitcoin and other cryptocurrencies. The one difficulty with bullion is storage, especially with silver. Large investors aren’t likely to have the facilities to store thousands of dollars worth of silver at home, and it may not be safe to do so. Instead, you can store your gold and silver in allocated storage at Silver Gold Bull, where your precious metals are stored separately from everyone else’s. The coins and bars you put into storage are the same coins and bars you get when you decide to take them out of storage. The time to enter the silver market is now. If you want to maximize your returns, consider investing in silver before gold.